KFC doing table service for Valentines day - Kentucky Fried Romance, anybody? Want to eat a romantic meal from a bucket? You're in luck. KFC are doing table service for Valentines day. Nothing quite screams "ROMANCE!!" like reaching over and taking your loved one's greasy, chicken covered hands in yours and saying "shall we get some more poppin' chicken?" 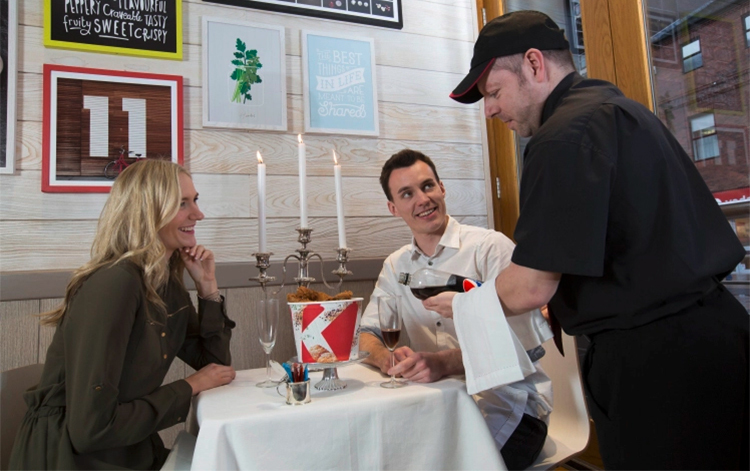 This Valentine’s Day, KFC are trialling a "date-night table service" for couples, and possibly rolling it out nationwide next year. The date night experience will see customers receive napkins (how romantic!) flowers (so cute!) a candelabra (next to your bucket of chicken) and a sommelier to recommend a soft drink, to pair with your bucket. How do you keep the love alive? Five secret herbs and spices. For couples who are dead inside? 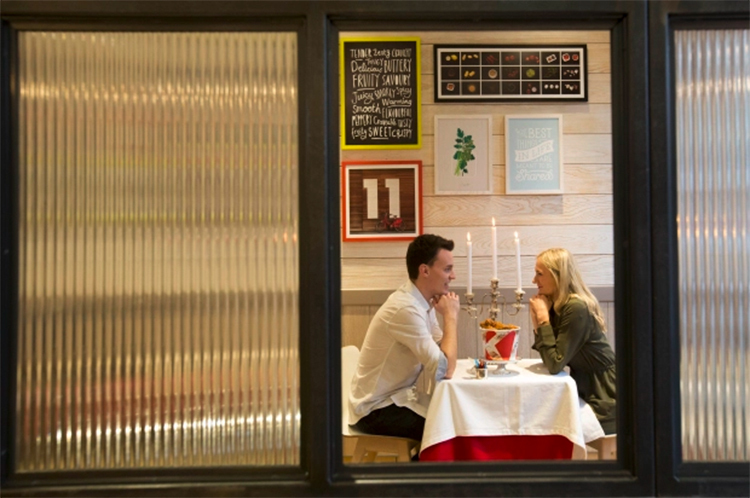 KFC say their romantic table service will attract couples who prefer a low-key Valentines Day. It won't though. It'll attract couples who are dead inside, or people actively trying to provoke a divorce - and using budget fried chicken as a resource in their campaign to get the other person to suggest the divorce. And people who haven't yet heard of Nandos. "Surprise! It's a bucket of chicken!" "Surprise! I want a divorce!" Where can you get some Kentucky Fried Romance? The initial trial will take place at the Fishergate branch in Preston, Lancashire, officially KFC’s most romantic UK restaurant, and will likely be extremely depressing to watch. In terms of romance, eating chicken from a bucket is only slightly better than eating haggis from a trough. We'd recommend you at least take your date to Nandos or splashing out 25p for some oysters at Morrisons.